A hysterical 911 call made by George Zimmerman’s girlfriend today has been made public, where she claims that he pointed a shotgun at her face. 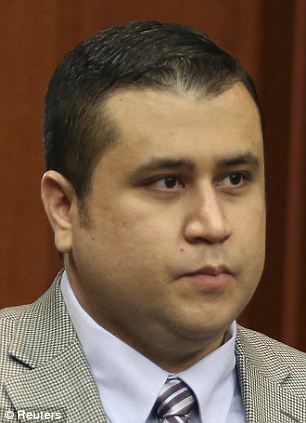 ‘I have a girlfriend, who for lack of a better word, has gone crazy on me,’ Zimmerman said. He also told the dispatcher that Scheibe was pregnant with their child and that she had decided she would raise the child on her own. 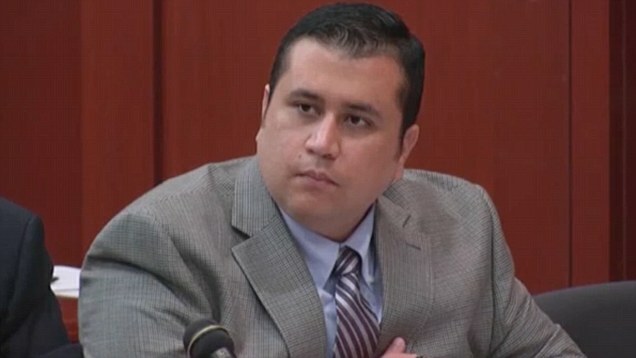 When Zimmerman started to leave, ‘she got mad,’ he said. Seminole County Sheriff’s Office Deputy Chief Dennis Lemma said at a news conference that Scheibe wasn’t pregnant. ‘She was very concerned for her own safety especially having the weapon pointed at her and then being pushed out,’ he said. Zimmerman was arrested following the domestic disturbance call. He now faces one felony charge of aggravated assault with a weapon and two misdemeanors after pushing his girlfriend outside of her house and destroying a piece of furniture in the backyard. He is due to appear before a judge at 1.30pm (EST) on Tuesday. 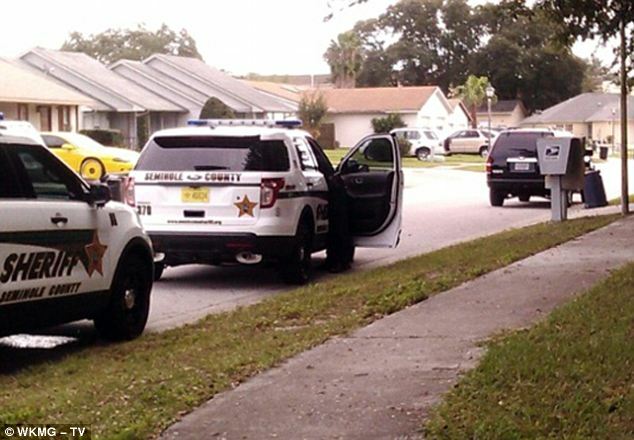 Zimmerman was picked up by police in Apopka at the intersection of Topfield Court and Bonnie Drive shortly after 1pm on Monday. The girlfriend in question has been identified by officials as Samantha Scheibe and she lives at the residence where Zimmerman was arrested. The Orlando Sentinel reported that an associate of the Zimmerman family have confirmed that he has been living with Ms Scheibe for several weeks. At a Monday evening press conference, Seminole County Sheriff Don Eslinger confirmed that Ms Scheibe was the one to call police. ‘She and George Zimmerman were having a verbal dispute and at that time she indicated that he broke a table and pointed a long-barreled shotgun at her,’ Sheriff Eslinger said. ‘She was obviously very concerned. Zimmerman pushed her out of the home and then barricaded the front door so that she could not re-enter, using furniture to block the doorway. Ms Scheibe had her cell phone with her and called police. Officers were able to arrive at the scene less than four minutes later and made verbal contact with her outside of the house. She then gave them a key to the home and they went in the building to speak with Zimmerman. When they found him, he was unarmed and ‘offered no resistance to deputies as they responded’, the sheriff said. He added that Ms Scheibe was being cooperative with authorities and was still speaking with detectives when the press conference was held at 5pm. ‘We’re going to do everything that we can do to protect her,’ he added. The specifics of the altercation remain unclear, but the sheriff’s comments suggested that at some point during the fight Zimmerman threatened her with a shotgun and then barricaded her outside of the home. He has been placed in this status (segregated from the general population) due to the high profile nature of the case. Zimmerman’s cell is designed to hold two inmates and is approximately 67 square feet. It is equipped with a toilet and a bed. A mattress, pillow, bed sheets, and blanket are provided. It remains unclear what exactly prompted the fight, but according to the police report it escalated quickly. 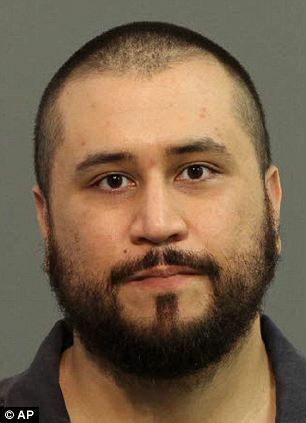 ‘(Ms Scheibe) advised that she and George Zimmerman just had a verbal altercation that resulted in him breaking a glass table in the living room, retrieving a shotgun, and pointing it at her,’ the sheriff’s office said in the official press statement. ‘She was able to get to the front of the house andcall 911. As she approached the door, he ultimately pushed her out and locked the door behind her. He then barricaded the door with several pieces of small furniture. Sheriff Eslinger confirmed that there were two weapons found in the home. 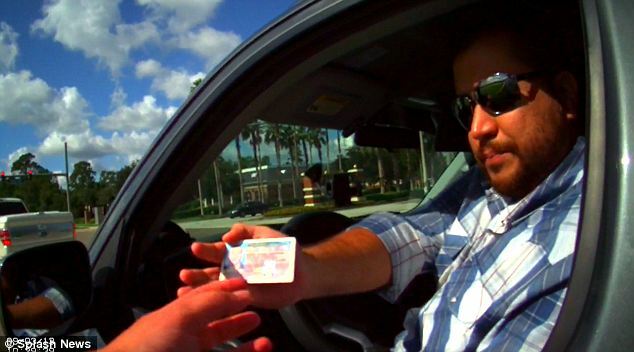 WKMG reported that Zimmerman is not eligible for bail. A local news reporter from WFTV cites an unidentified source who says that the Monday afternoon incident involved Zimmerman, his girlfriend and a gun. Zimmerman’s former lawyer Mark O’Mara, who defended him in the high-profile murder trial, announced that he will no longer be representing Zimmerman and has no involvement in today’s arrest. It is clear from the latest mugshot that he has lost some of the more than 100 pounds he gained during the time leading up to the Trayvon Martin murder trial this summer. He is also seen with a full beard, showing that he has grown out his facial hair more than ever previously seen in his earlier mugshots. ‘Just when you thought you heard the last of George Zimmerman,’ said neighbor Catherine Cantrell. She said she had twice seen a man who looked like Zimmerman get out of a truck that’s been in the driveway for nearly a month. The truck parked there Monday appeared to be the same one that reporters have seen Zimmerman drive previously. ‘I’m in absolute shock. He was never outside. It’s not like he was out flaunting around,’ she said. Sarah Tyler, 26, also lives across the street from the tan stucco house on a cul-de-sac street of single family homes in Apopka, about 15 miles northwest of Orlando. ‘It’s kind of frightening,’ she said, adding that she only saw a woman came out of the house. This is not the first alleged altercation that Zimmerman has found himself in since being acquitted of murder, as his ex-wife called police to their home in September after he confronted her with a gun just days after she filed for divorce. 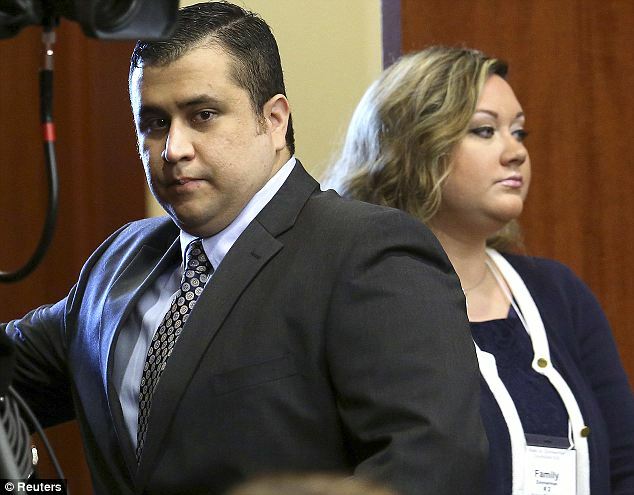 Police reported that no charges were filed against Zimmerman following the September altercation. Lake Mary Police said in a report released this week that there was not enough evidence to file any charges. Police were waiting to see if images from an iPad could shed more light on the fight, but it was examined by a Secret Service agent who determined it was too badly damaged to get any information from it. The dispute took place just days after Shellie filed divorce papers as she was removing belongings from the couple’s home. She said in court papers she separated from her husband in August, a month after he was acquitted in the 2012 shooting death of Trayvon Martin that gained her husband national notoriety. He argued that he shot the 17-year-old in self defense after they got into a confrontation while Zimmerman was volunteering as a neighborhood watchman.